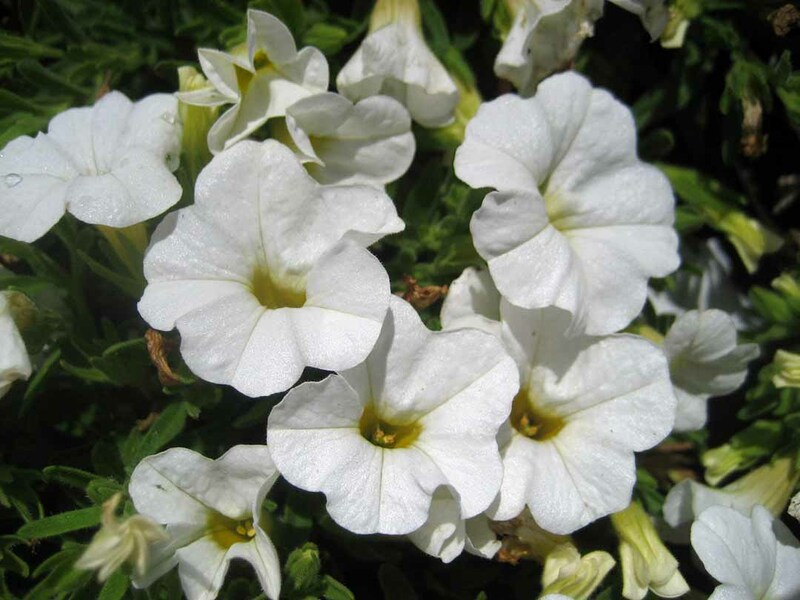 10″ x 15″ Calibrachoas are evergreen perennials closely related to Petunias. They have a sprawling habit with masses of small petunia like flowers. The ‘Calipetite’ series is unusual for their compact habit as they form tight mounds. Calibrachoa are fast growers with heavy flowering so require regular feeding for best performance. After a flush of flowering, lightly trim back and fertilize. Plant in full sun to light shade and give moderate watering. NOTE: After growing Calibrachoa for several years I find they have a big flaw. When growing in a pot they are full of flowers, but when you put them in the ground the flowers begin to fade away. They will have some flowers, but they are just not floriferus in the ground. Great for pots.